Overview: This qualification provides the skills and knowledge for an individual to be competent in a broad range of managerial skills in tourism operations, marketing and product development, underpinned by a range of operational competencies chosen as electives. 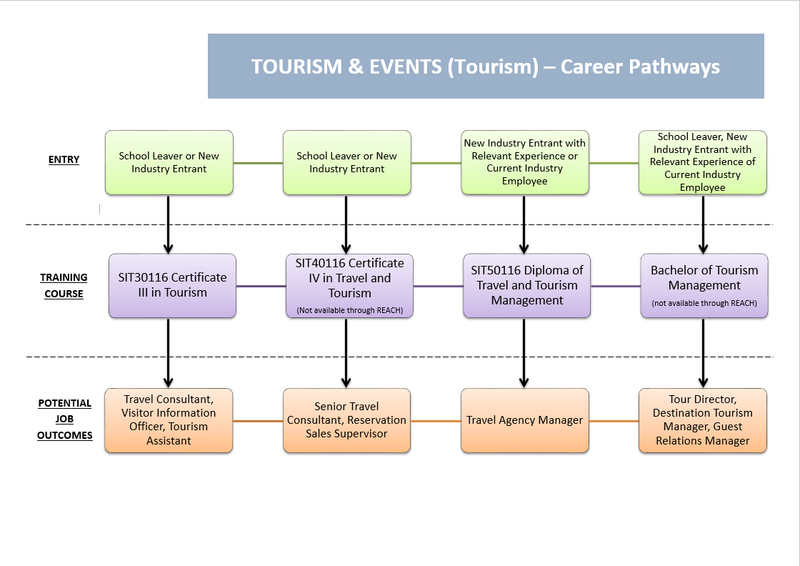 Work Placement: 100 hours minimum work placement within Tourism Industry is compulsory for this qualification. Work Placement Insurance will be provided by REACH for Training. This qualification may be delivered as a traineeship program.